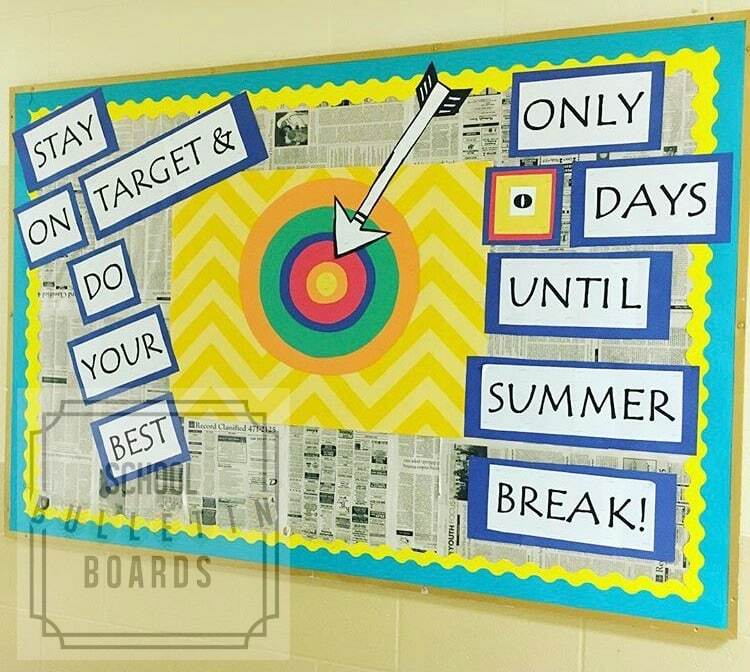 End of the school year bulletin boards are a perfect way to remind students to stay on track during the time of year when they are already on vacation. 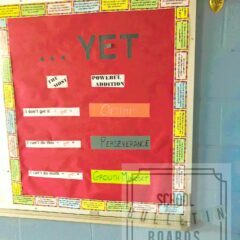 Remind students to stay on track by having them make a list of things they wanted to accomplish before the school year was over. Talk about breaking down the goal into bite-sized pieces so it is accomplished before that target hits zero. Have students write a journal entry of how they will feel once they hit their personal target before the days are all gone and it is summer break. 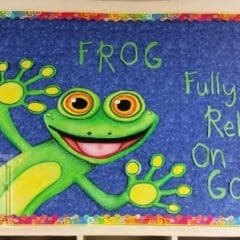 Yellow scalloped bulletin board border: Having a double border really adds a textured element to the board. 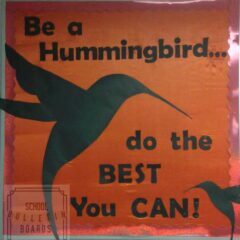 Large arrow cutouts: Perfect for pointing to the target in the middle of the bulletin board. 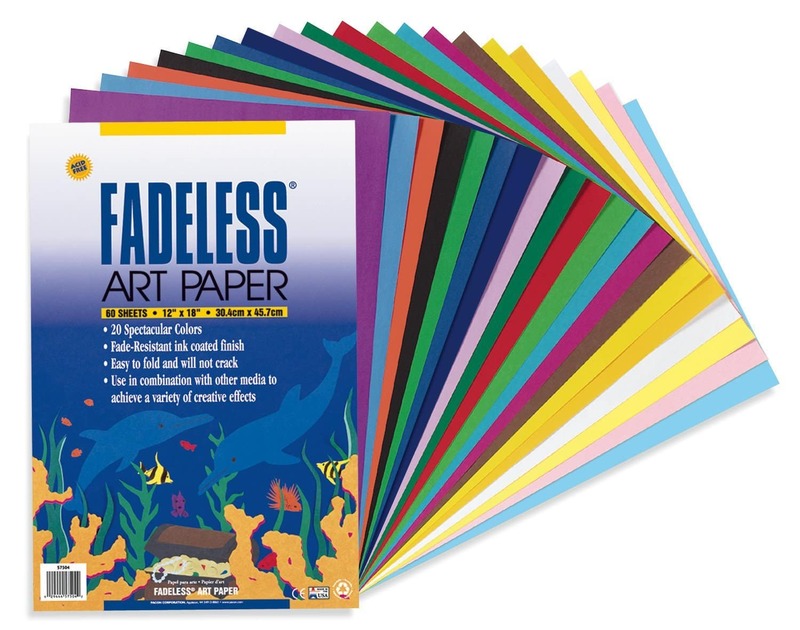 Scrapbook paper: Use under the target for a visual element. Use newspaper as a background on the entire board. 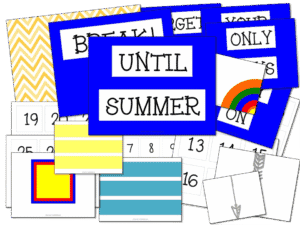 Then, type up the following on white paper and cut out into blocks: STAY, ON, TARGET &, DO, YOUR, BEST, ONLY, DAYS, UNTIL, SUMMER, BREAK, and daily countdown numbers from 0-? Mount words on blue colored construction paper. 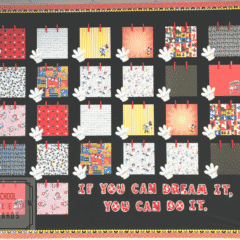 Add your scalloped borders to the bulletin board. 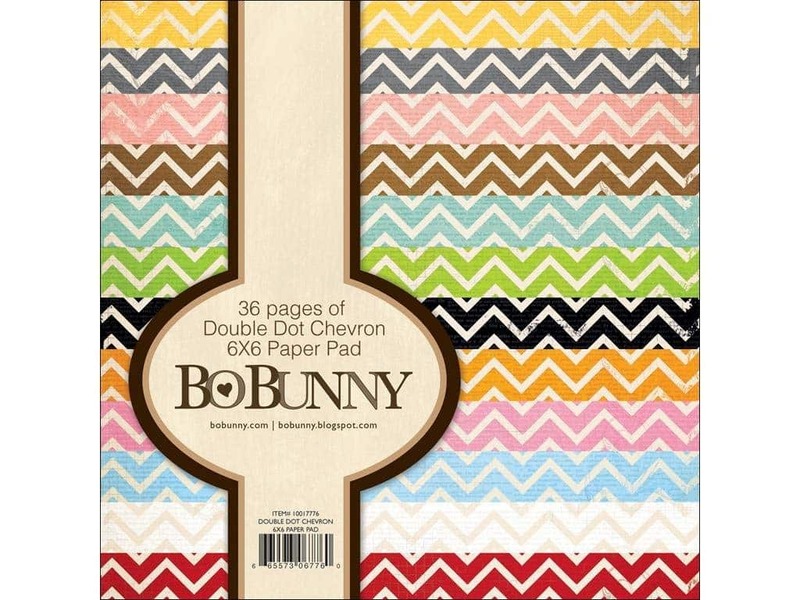 Place the scrapbook paper in a grid in the middle. 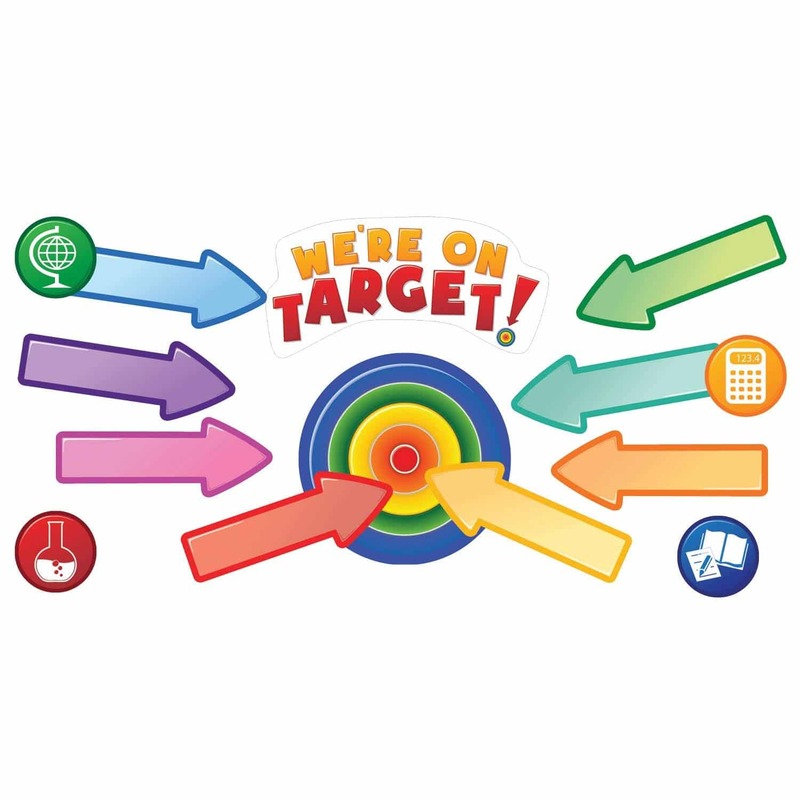 Cut out circles from the construction paper and add the arrow pointing to the bullseye. Last, place the words wherever you like. Have a student or volunteer change the number daily. Students and teachers alike already know how many days until summer vacation, so why not bring it out into the open and create a mini-challenge for learning something specific before the timer hits zero? This is an opportunity to allow for student choice and differentiation by acknowledging that the student is in charge of his or her own learning.